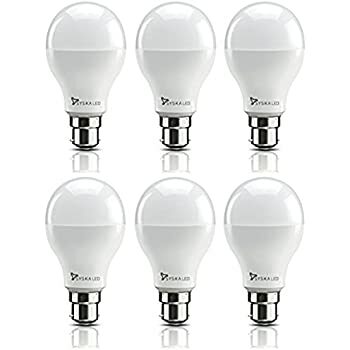 Amazon's Choice for "led bulb"
This economical option for CFL or glass lamp uses a new technology of plastic-aluminium thermal management which offers a longer life with maximum efficiency. Additionally the design of the shell cover is such that it provides omni-directional lighting effect for your interior space. 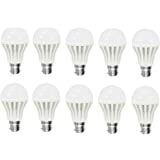 LED style bulbs are much cooler than incandescent bulbs, reducing the risk of combustion or burnt fingers. 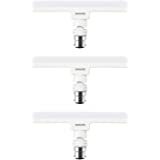 LEDs are made with epoxy lenses, not glass, and are much more resistant to breakage. 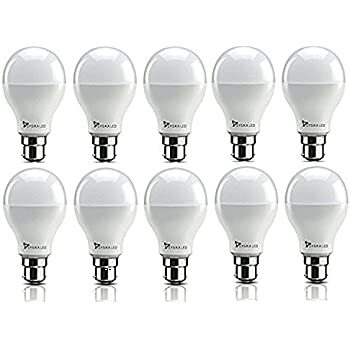 They also consume less electricity when compared to incandescent light bulbs. 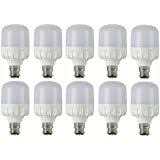 These LED bulbs are equipped with 900 lumens. 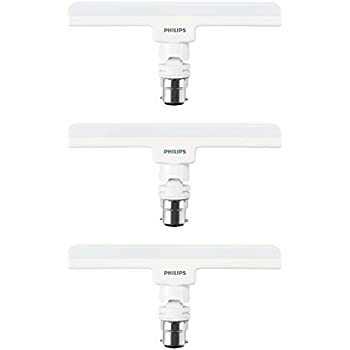 Having more lumens make these LED bulbs shine brighter and enable them to cover more area. 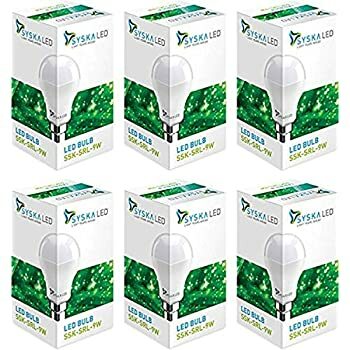 These LED bulbs are made of polycarbonate material. 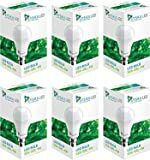 A single of its finest properties is high impact resistance that make these bulbs long-lasting products. 1.0 out of 5 starsWorst Experience Ever !!! 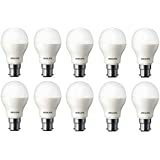 Out of 10 bulbs, only 8 are working and last one belongs to Philips brand. 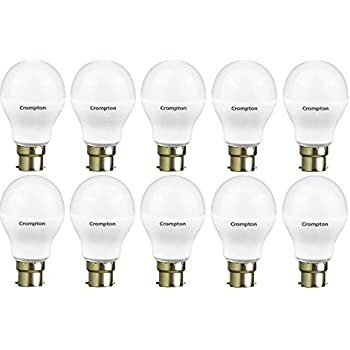 It seems all the bulbs in its packing was dug up from ground. Does not even look like brand new. I couldn't initiate a return due to lack of time. 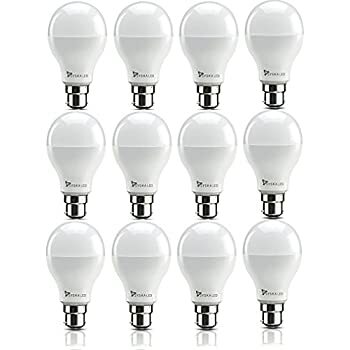 Out of ten bulbs, when one was faulty, so you have no advantage in waiting for a week. 10 percent rejection is not any way commendable. 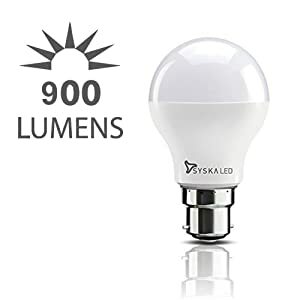 Can they not test bulbs before despatching such a well known product. 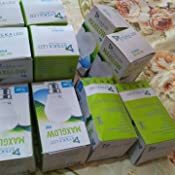 I advise everybody to buy bulbs from local dealers, after checking each one at the shop. 3.0 out of 5 starsQuality suspect. 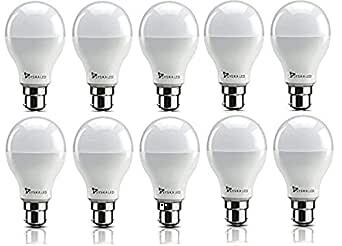 One more bulb went dead today. 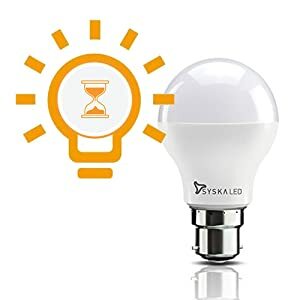 They say led bulbs last for 15 years but Syska has understood years as days I suppose! Absolutely disgusting! 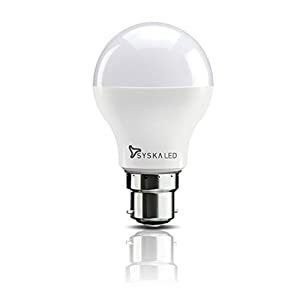 Very nice but one led bulb defected so I give four star rating. These items are not standard Syska products that are sold in the shops. These look cheap and second class. 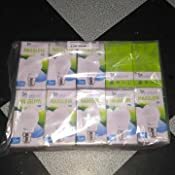 Packet contains 10 bulbs but only 7 working. 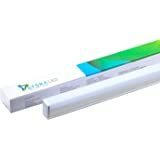 Very dishonest sellers and very dissapointed with Syska. Looking at other reviews too, i realize i'm not the only one cheated. 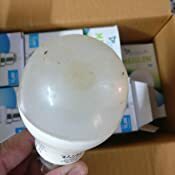 It seems like they include 2 or 3 damaged bulbs in every packet as a way of dumping all factory rejects. They know we won't bother to return it and lose more time and more money. 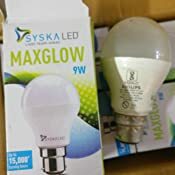 Update: Avoid buying Syska Bulbs! 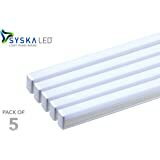 Syska has worst warranty support they take 1 month to initiate pickup and their courier partner is so careless that they pick someone else's product and send it to syska delaying the whole replacement . It's almost 2 months now still my pickup is not scheduled!